In this ongoing series, posted every week or so, I’ll be speaking with doctors, lawyers, marketing professionals, accountants, actors, arts administrators, and people in all kinds of fields who studied classical music and are thankful they did. I’ll keep this going until I run out of participants. I hope you enjoy reading them as much as I did. Today, let’s meet Katherine Jim, Engineer and Senior Project Manager. I work in a Canadian-based engineering consulting firm. It’s a publicly traded company, and globally, we have about 36,000 employees. I am a Senior Project Manager in the Transportation Planning department based in Oakville, Ontario. Most of my projects are related to road planning in the GTA. There are lots of growth happening in Ontario and we forecast 15-25 years into the future to identify infrastructure needs. Okay, well, I’d like to see more safe bike lanes! Anyway – what instrument(s) did you study, and at what stage in your life? Piano has always been my main instrument. I started when I was five and stopped taking lessons just before starting university. But along the way in elementary school and high school, I also learned the flute and the cello. So, I have a basic understanding of these instruments. It was something my parents wanted me to do and it was always more like a hobby. I prefer just playing among friends, like a music salon (I just made it sound like I’m from the 18th century ….hahahaha…). I love it! Nice throwback. Was quitting your music lessons a welcome relief or a complete heart-wrenching moment of reckoning? At the time, it felt like a relief. I had wanted to quit sooner but my parents insisted that I must finish my Grade 10 exam. I’m very thankful that they did because that was a significant milestone and that allowed me to pick up piano again some 20 years later. I’ve been taking lessons again since about 4 years ago. I completed my ARCT (Performance) exam last year and now working on the theory requirements. Let me tell you, having to study in your 40’s is not quite the same as when you were a teenager. Fortunately, I’ve got wonderful teachers for piano and theory. Good for you! 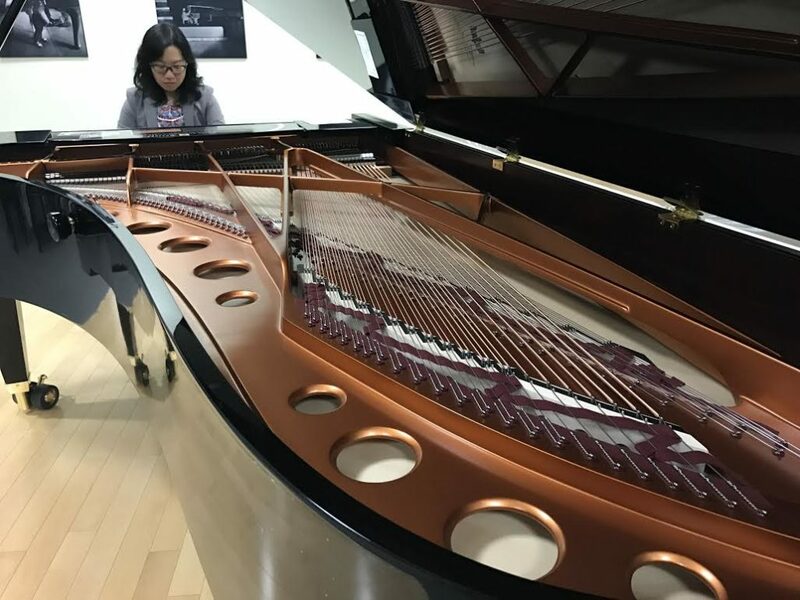 I wasn’t allowed to take the next piano exam until I had the theory squared away – my mother (who was also my theory teacher) was super organized that way. How did your classical music studies (and music theory, if you studied that too) impact your ability to do your job today? Music taught me a lot of things and they apply to all aspects of my life: a high level of self discipline, organization, time management, and setting long-term goals and milestone checkpoints. My day-to-day work is mostly project management, so these skills are essential to running a successful project. But in general, I think it’s the “never stop learning” mentality that keeps me going. In music, there is always “the next level” and I don’t mean just technically but also musically and how, as a performer, the way you connect with the audience. Definitely! First of all, daily practise is a must. My mom teases me that I practice more now (and more diligently) than when I was a kid. Not just because I’m paying for my own lessons now, but I see music as a way to take a break from the “day to day”. I am also the “designated accompanist” for my husband, who plays the trumpet as a hobby. We both practise every evening (which means we are totally not up to date with current TV programs). We are lucky to be in Toronto where we have access to many great concerts and performances. We love going to live performances; I always feel refreshed after a great concert. We also like to plan our vacations around concerts and music festivals; just last year, we were at the Salzburg Music Festival and there are so many places we have yet to explore.